Today we harvested our garden again. 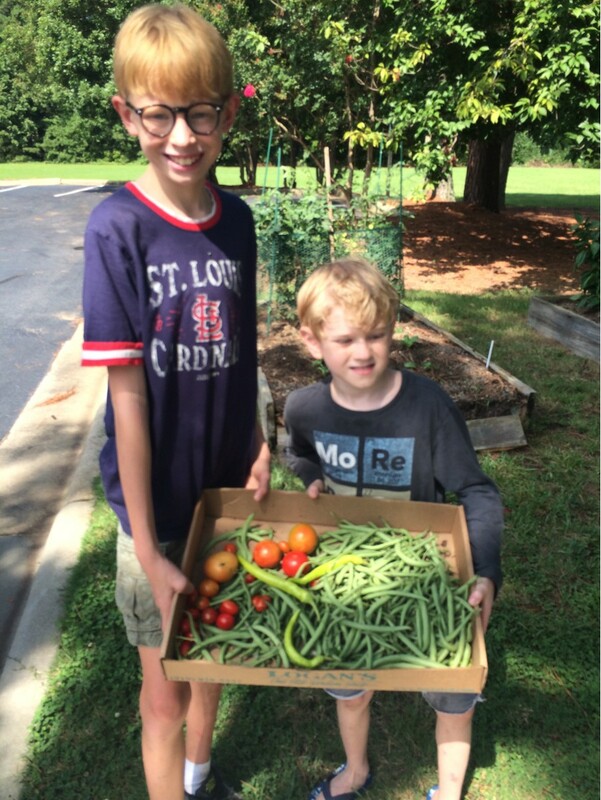 We picked tomatoes, peppers, and the last of the green beans. 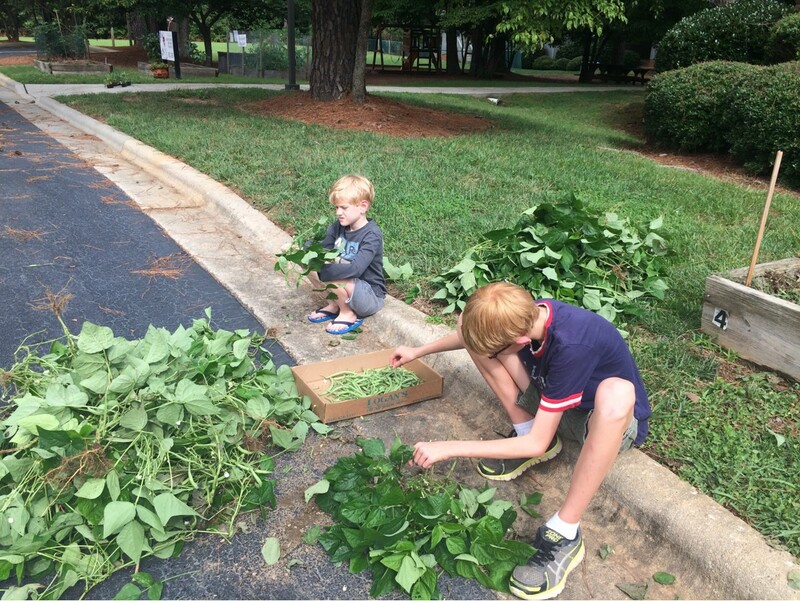 The first picture shows the boys pulling the last green beans off the plants. 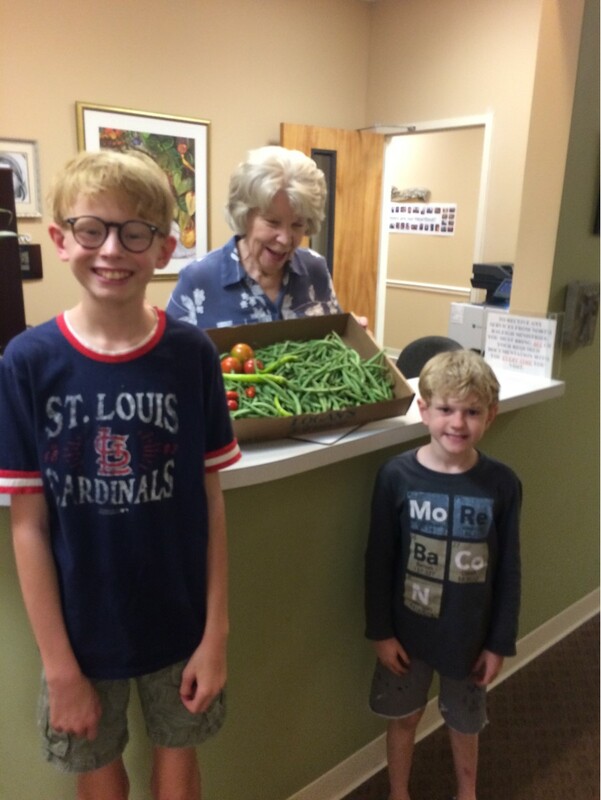 The second picture shows our harvest, and the third picture shows them delivering the produce to North Raleigh Ministries. They were happy to receive it! We also began planting our fall garden. 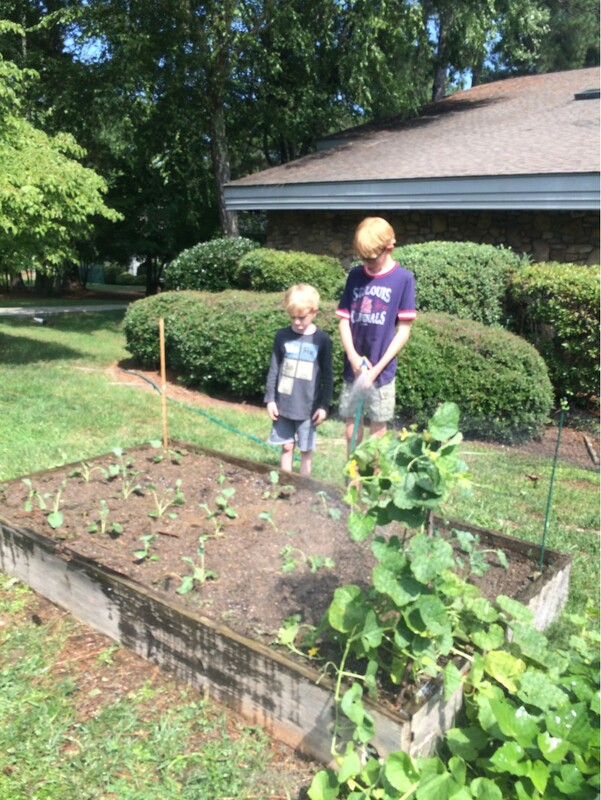 When we removed the green beans, we planted broccoli (see fourth photo). We also planted swiss chard and kale. As soon as the sweet potatoes are dug, we will plant more crops, including collards. Wait for improvements as our garden is renovated and expanded!